If you have been following me now for awhile, you know how much I have fallen in love with dōTERRA essential oils. I have been using these wonderful oils now for two years now, and I am amazed every day with the impact that they have had on my overall health and wellness. Once I started researching about the power of essential oils and all the different uses, I literally became obsessed! Did you know that lavender oil has over 150 documented uses? How amazing is that? Lavender is one of the oils that I use every single day. I use it at night before going to sleep. I find that consistency of use is important in developing a self-care routine using essential oils. Find the oils that work best for you and keep consistent in your routine. Why would you use essential oils in your daily self-care routine? I love using essential oils in my daily self-care routine to support my emotional, physical and spiritual health. Did you know that our sense of smell is our most powerful scent? Our sense of smell is closely linked with our memory. When we breathe the aroma of an essential oil, the oil passes right into our limbic system in our brain. The limbic system has a role in controlling mood, behaviour, memory and emotion. We diffuse essential oils daily in our home. In fact, we have five diffusers here. One in each bedroom, one in my home office and one in our open kitchen and living area. Diffusing essential oils can have a positive impact on your mood and emotions as well as help to purify the air in your room. This is huge for me. Did you know that our homes can actually be more toxic than our outdoor environment? We eliminated all synthetic and chemical-based cleaning products quite some time ago and we make our own household cleaners now using essential oils. This is also a big part of my daily self-care, and it is a very simple switch to make. We are bombarded with toxic products in our daily lives that are truly not good for us. Continued use of toxic personal care products or chemical-based household cleaners can have a negative impact on our health. When we choose to make self-care a top priority in our lives, we choose the path to greater vitality and health. One of the other ways that I use essential oils in my daily self-care routine is topical use. Around nine years ago when I was pregnant with my daughter is when I truly started to make the switch to natural self-care products. I have always loved natural products, but it was when I was pregnant that I really started to question everything that I was using, or bringing into my home. I even searched out a day spa that used natural and organic products for my pedicures, and have not looked back since….do you know all the crazy chemicals that are found in nail polish?!? I have never been one to wear much makeup but I love my personal care products. I was spending hundreds of dollars on personal care products easily every couple of months. Did you know that the average woman puts 515 synthetic chemicals onto her body every single day? About 60% of what we put on our skin is absorbed into our bodies. Wow!! In making simple switches to our daily self-care routine, we can eliminate these toxins from our home and our bodies which will lead to other benefits in our overall health. Are you ready to make the switch to a more natural lifestyle? This is one of the reasons that draws a lot of women into my essential oil community. It is so wonderfully empowering when you can make more informed decisions for yourself and for your body. 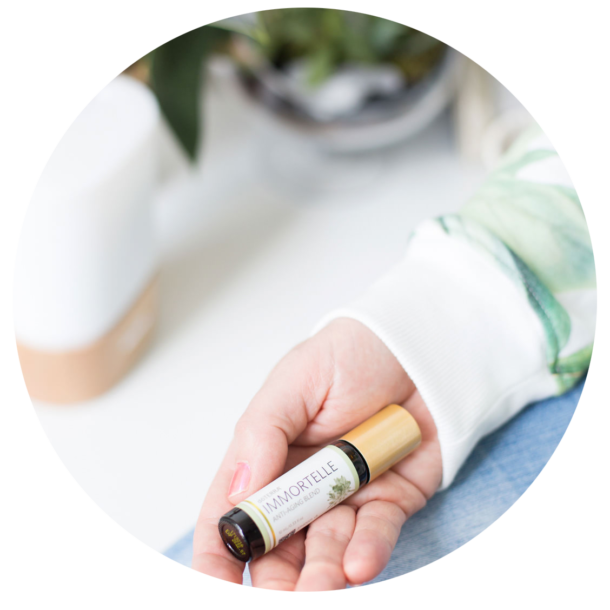 I love to share simple and easy personal and self-care solutions incorporating essential oils with my tribe. Are you ready to make self-care a priority in your life? How to get started with a dōTERRA wholesale account? The dōTERRA May 2017 promotion is amazing! 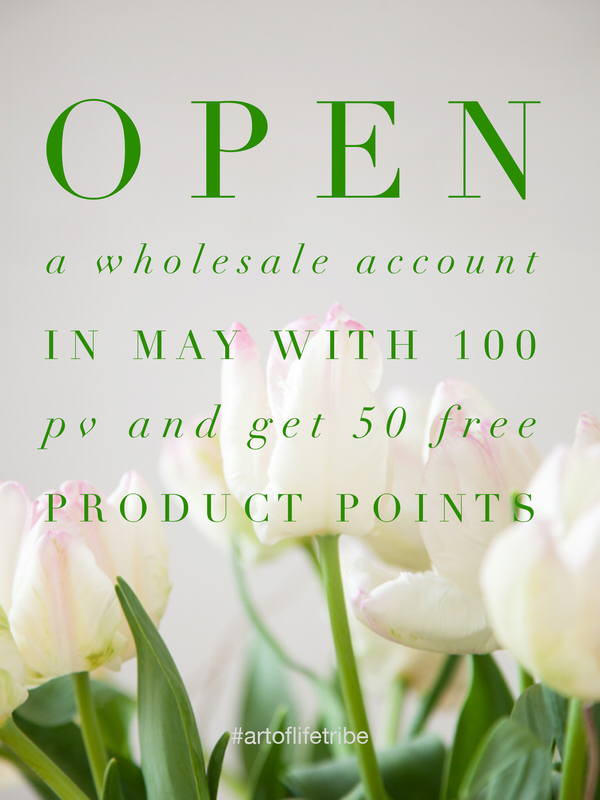 When you open a wholesale account with 100 PV (personal volume = about $100) during the month of May you will receive 50 FREE product points. I am clearing space in my calendar this month to meet with people one on one who are interested in finding natural solutions to support their health and wellness. If you are not local to the Barrie area, that’s okay too! 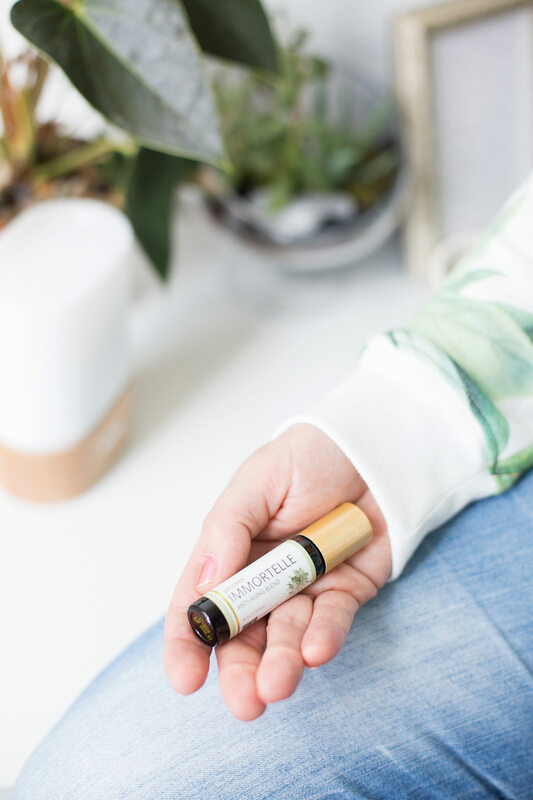 We can connect via online zoom chat and I can chat with you about how to incorporate essential oils into your daily self-care routine. Our essential oil community has people in it from across Canada, the United States, and Europe. If you know you already want to get started with essential oils, you can open a wholesale account and join our oily #artoflifetribe here. When you get started on your essential oil journey with me, you will also be welcomed into our private essential oil community on Facebook where you will have access to continued learning to support you on your wellness journey. Want to check out the vibe of our community? Follow the #artoflifetribe hashtag on Instagram or Facebook. Do you love local? Do you love to live outdoors? Do you love to incorporate natural solutions into your life? Do you love eco-inspired style? Do you love to support companies and brands that care for our environment and give back to our communities? If you answered yes to any of these questions, I think you’ll love our tribe. Just sayin’… I am so looking forward to meeting you!